Product prices and availability are accurate as of 2019-04-25 01:54:05 UTC and are subject to change. Any price and availability information displayed on http://www.amazon.com/ at the time of purchase will apply to the purchase of this product. 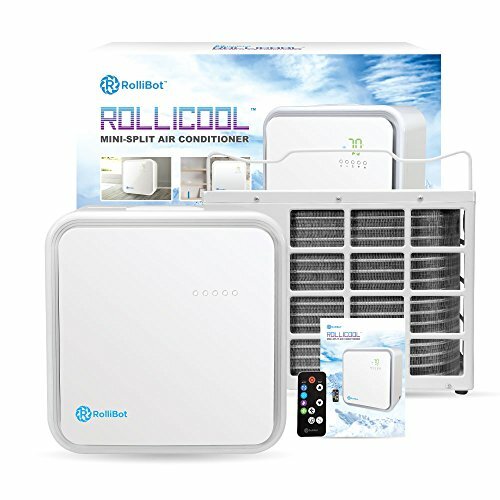 Keep the heat or humidity at bay with the unit that tailor fits the temperature to your RolliCool Mini Split System. Designed with 10ft coolant lines, 115V, and 10,000 BTU, your split AC installation will help you regulate any room's temperature up to 450-sq-ft. It is the ideal model for regulating the temperature of your home, office, or outdoor spaces without the hassle. 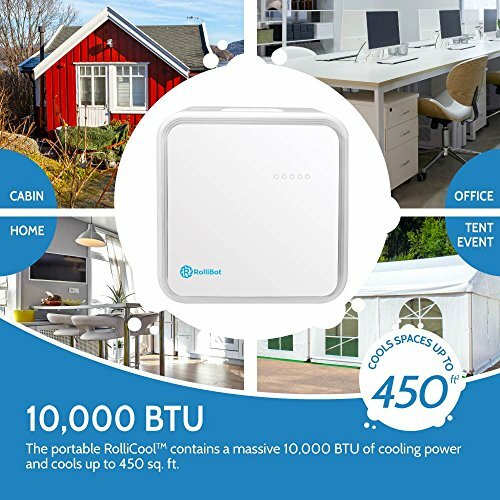 Using a powerful R410a refrigerant, this compact AC unit operates with low-volume cooling technology and provides the most comfortable temperature you want from, 60°F to 87°F. Easy to access, the unit can be given commands using the LED panel, remote, or via Bluetooth/WIFI to instantly set or schedule your desired temperature. Select between several different modes, schedule your unit, and oversee your settings from up to 23 ft away with the remote or the Android/iOS app! 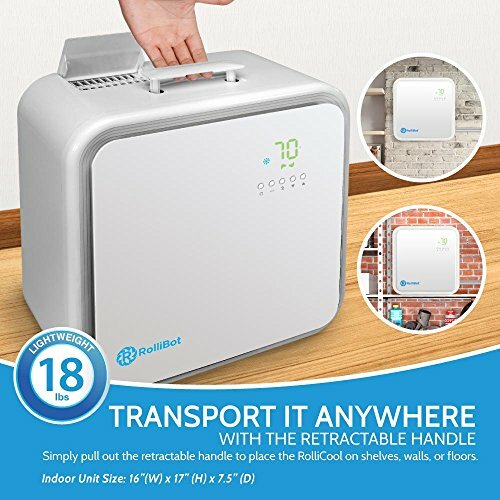 Cool down your room, or heat it up - from anywhere! With the four available modes, you’ll find personalized comfort no matter the weather. For the suffocating summer heat, activate cooling mode for a blast of welcomed chill and fan mode to circulate air in stuffy rooms. Three fan speeds ensure you’ll always find the ideal temperature! On those particularly steamy nights, avoid tossing and turning in discomfort by switching things over to dehumidify mode. 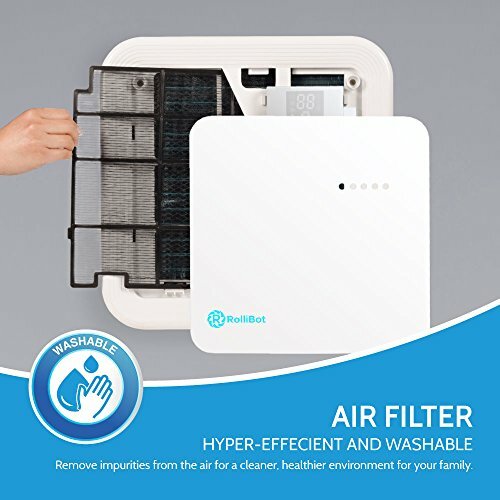 This heavy-duty setting is able to remove 0.6 gallons of moisture from your air every hour. The room air conditioner even adjusts cooling through its auto mode and scheduling feature, so you'll always be welcomed into a crisp bedroom or office. The mini air conditioner is built with a hyper-dynamic filter to remove harmful particles and allergens from your air - creating a healthier breathing environment. 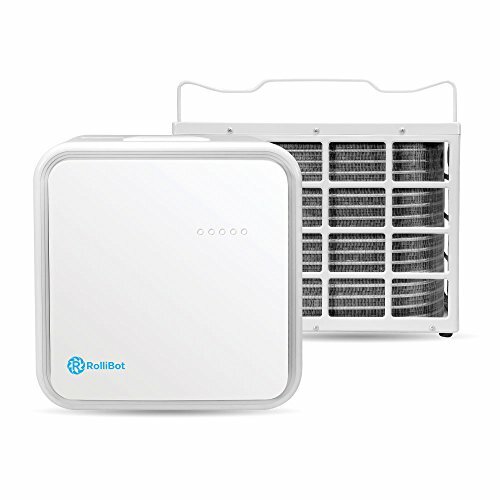 The indoor air conditioner installs instantly using just household tools or any accompanying window kit. For breezy transport, empty the unit with the accompanying drainage hose to and remove any remaining water from dehumidification. Once empty, pull out the retractable handle to move the unit anywhere. 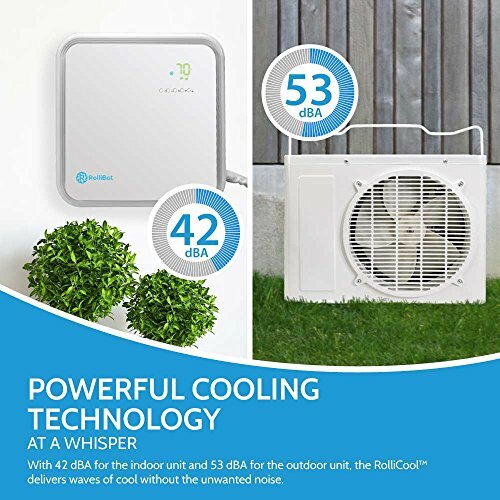 From your very own living areas to your next big outdoor event, customize any room to your exact comfort level with the RolliCool split system air conditioner.